Certified Nursing Assistants obtain their right to practice after completing a Nurse Aide Training and Competency Evaluation Program. The program includes theory and practical instruction at an approved clinical facility followed by a written and skills competency evaluation. At the conclusion of the program, Texas residents will be added to the Texas Nurse Aide Registry. CNAs thus trained are capable of providing safe and high-quality care under the direction of a registered nurse or licensed practical nurse. A career as a CNA may be both challenging and rewarding. It provides an excellent introduction to the healthcare field if you are interested in pursuing a career in nursing. Most nursing programs have a competitive admissions process, so CNA certification might give you an edge over other candidates. CNA classes are available at vocational colleges, hospitals, nursing homes and proprietary training providers. They can get you ready for a career as a competent healthcare provider in 4 to 8 weeks. The Certified Nursing Assistant program at Lone Star College supports adults in their quest to become a valuable member of the healthcare team. 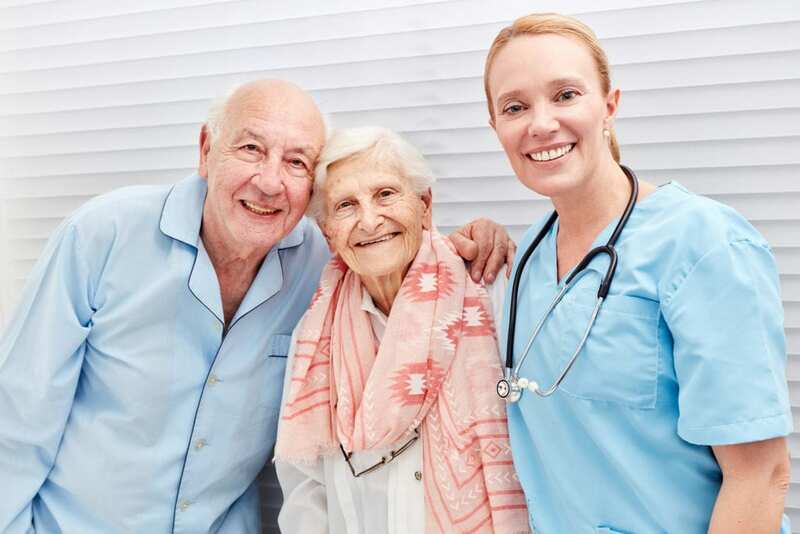 Students obtain the knowledge and competencies to work closely with patients to improve their quality of life of residents in long-term care facilities. The curriculum offers 262 contact hours of instruction: 64 hours theory, 44 hours clinical, and 8 hours in preparation for the state exam. The final 8 hours are not included in the Nurse Assistant Certificate and cost an extra $64. Course topics in the state-approved program include communication, residents’ rights, observation, observation and reporting, basic safety, medical terminology, anatomy and physiology, and hospice care. Tuition for the program is $864 and does not include the cost of textbook, supplies, background clearance, health and drug screen, TB test, and CPR certification. The blended certified nurse assistant program at CNA Training Institute includes classroom theory and practical learning opportunities in a skills lab. Students will also have an opportunity to develop their skills during a supervised clinical experience in a long-term care facility. Qualified licensed nurse instructors will prepare students for success on the State Competency Evaluation in just three weeks. Course topics include medical terminology, basic nursing skills, anatomy and physiology, safety and emergency procedures, vital signs, infection control, observation and reporting, the role and responsibilities of the nurse aide, personal care, and Alzheimer’s care. The program is open for admission throughout the year. Classes meet Monday through Friday from 9:00 am to 5:00 pm for the first two weeks. During the final week, students will participate in a clinical externship from Monday through Friday from 6:00 am to 2:00 pm. Onsite CPR training is available for those who need it. Tuition for the program is $950 and includes books, equipment, and supplies. Students must purchase scrubs. A flexible payment plan is available. Graduates will receive assistance with job placement. Active Nursing Assistant Training of Clear Lake operates a 100-hour nursing assistant program with the approval of DADS. Students will acquire knowledge of the role of the nurse aide to become a competent healthcare provider. The licensed nurse instructor will use hands-on and visual techniques to make learning fun. Course topics include the role of the nurse aide, infection control, resident rights, communication and interpersonal skills, skin care, toileting and perineal care, body mechanics, nutrition, elimination, coping with death, vital signs, restorative services, and cognitive impairment. Morning and evening schedules are available. Morning classes meet Monday, Wednesday, and Friday from 9:00 am to 1:00 pm. Evening classes meet Monday, Wednesday, and Friday from 5:30 pm to 9:30 pm. Orientation will take place on the first day of the class. The supervised clinical experience will commence during the fourth week and will run from Monday through Friday. Graduates will be eligible to sit the State Competency Evaluation to be added to the Nurse Aide Registry. They also have the option to take additional seminars to boost their skill-sets. Tuition for the program is $895. An installment plan is available. Students must obtain a free textbook rental to reduce their cost. The course workbook is available for $25. The nursing assistant program at San Jacinto College covers the skills, knowledge, and abilities that adults need to care for residents in a long-term care facility. Students will learn safety and preventative measures, vital signs, medical terminology, basic nursing skills, body mechanics, communication and interpersonal skills, infection control, observation and reporting, and hospice care. In addition to 68 hours classroom lectures and lab skills, students will participate in an offsite clinical that covers 40 hours of supervised patient care. The clinical will take place during the final week of the program – five 8-hour days. Graduates will be eligible to take the Certified Nurse Aide Certification Exam to be added to the Texas Nurse Aide Registry. Have no criminal offenses as listed on the Texas Health and Safety Code. Tuition for the program is $902.